Note: This article originally appeared in Copyediting newsletter, which explains the low word-to-humor ratio, and is reproduced with permission. Were you delighted by the ruling on Internet by The Associated Press Stylebook? Effective June 1, 2016, Internet became internet, no longer capitalized. Though many reacted with trepidation, others have desired this change for the last decade or so. Susan C. Herring wrote in Wired last year that “the lower-case version will eventually win the day . 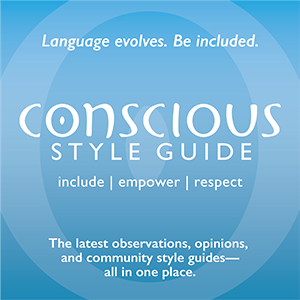 . . driven by age-old principles of language change.”Because certain patterns are predictable, you can stay ahead of the game by altering style before it becomes convention. Consistent inconsistencies in well-edited works will be understood to be deliberate. Closing compounds. The typical progression for compounds is hyphenated, open, closed. Google’s Ngram Viewer bears this out, as seatbelt and rollercoaster rise and seat belt and roller coaster dip. Not overitalicizing non-English words. Consider your audience before italicizing non-English words not in your dictionary. For example, leave Sanskrit names of asanas in roman for yoga magazines and Spanish words in roman when italics might distract. Using portmanteau words. 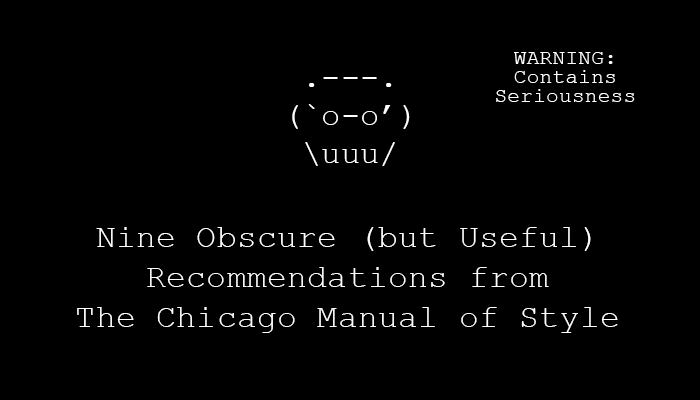 Chances are you don’t blink at spork, emoticon, or mockumentary. A coinage becomes accepted when usage is wide and sustained, so if it works, use it. Breaking patterns. 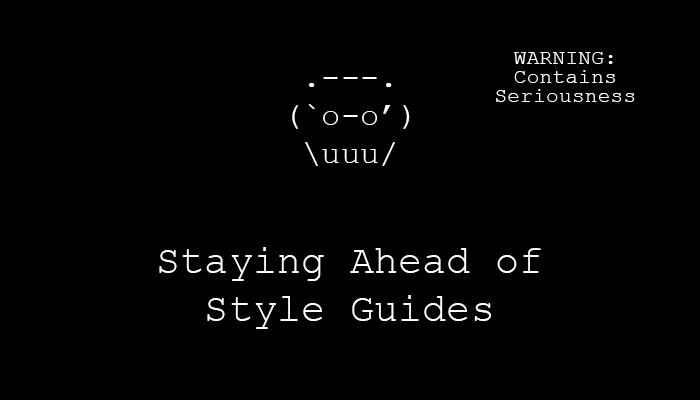 It’s nice when style is consistent across the board, but it doesn’t have to be. Maybe you resisted email because it deviated from e-book, but the latter has been falling out of favor, with ebook rising steadily on the Ngram Viewer. Pedants and sticklers may not like it, but some will find fault even when spelling, grammar, style, and usage are correct. Consistent inconsistencies in well-edited works will be understood to be deliberate. CMS 6.104 [6.106]. If one of the terms separated by a slash is an open compound, you can add a space before and after the slash to clarify word groups: exclamation point / period. CMS 7.49 [7.53]. Only the first appearance of a non-English word needs to be italicized if, through repetition, readers will become familiar with it. CMS 7.83 [7.87]. In compound modifiers where an adjective modifies an adjective-noun compound, the first hyphen is not necessary if the meaning is clear: late thirteenth-century music. CMS 8.163 [8.165]. Colons and commas omitted on title pages for design reasons should be added to the titles in running text, such as the colon between the title and the subtitle. CMS 8.171 [8.173]. An italicized title used within an italicized title should remain italicized and be enclosed in quotation marks. Other italicized terms (e.g., non-English words, species names, ship names) used within a title should be set in roman. CMS 8.196−7 [7.61–2]. Mottos and common short signs—such as Watch Your Step—are capitalized headline style but not italicized or enclosed in quote marks. CMS 14.105 [14.96]. Though a colon usually separates the main title and the subtitle in running text, it does not follow a main title that ends with a question mark or exclamation point: Higglety Pigglety Pop! Or, There Must Be More to Life. 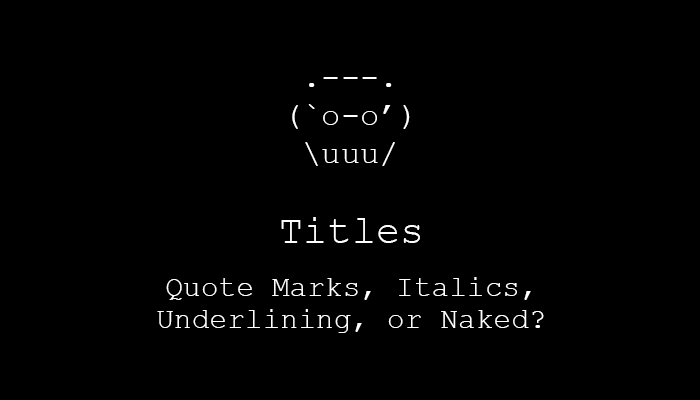 Titles: Quote Marks, Italics, Underlining, or Naked? Remember the days when your manual typewriter didn’t have a key for the number 1, so you used a lowercase letter L instead? And to type an exclamation point, you typed an apostrophe first, backspaced, and then typed a period beneath it? Sure you do, punk. Clarification: I’m not that old; my high school was poor. We pasted our newspaper dummies together with wax and made type changes with a dull razor. Well, we don’t type that way anymore, because technology has blessed us with 1s and !s on our keyboards. Likewise, because we are capable of rendering type in italics, you underline titles only when writing them by hand or using software that doesn’t italicize. As long as you remember that underlining equals italics and to never underline when you can italicize, you’re good. You can get pretty far by following the “Big/heavy equals italics” (like books) and “Small/light equals quotes” (like poems) generalizations. As for enclosing titles in quotation marks or italicizing them, you can get pretty far by following the “Big/heavy equals italics” (like books) and “Small/light equals quotes” (like poems) generalizations, but Associated Press style doesn’t italicize nothin’ and Chicago style has layers of specificity and if-then statements. Fun! Because the Associated Press stylebook is not indexed and the manual for Chicago style covers title style in several sections (intermixed with name style and capitalization style), some title styles may have been inadvertently omitted due to oblivion on my part. Please send me a note if any oversight makes you twitch. It’s all arbitrary, so go for clarity and sustainability. Note: Use Command-F or Ctrl-F to perform searches. Titles for . . . Quotes (p. 62) Neither (8.75)—unless it has “status,” then use quotes. Whatever you choose, be consistent. But beware of having a tin ear. 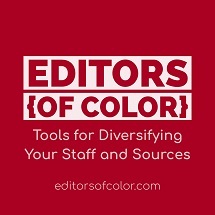 My Editors of Color Database! about new musings and merch via emails from AP vs. Chicago. I super care about your privacy. Opt out anytime. Data submitted by this form will be used only by Quiet Press and its subsidiaries. © 2011-2019 by Quiet Press. 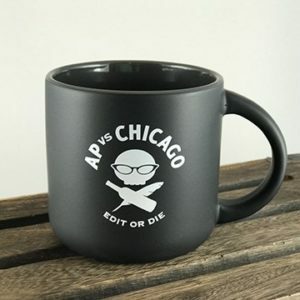 AP VS. CHICAGO and EDIT OR DIE are trademarks of Karen Yin. All rights reserved.